The National Student Clearinghouse is excited to announce that our Transfer Tracking Report is now available on Premium Service. Our national Transfer Tracking Report is released annually by the National Student Clearinghouse Research Center. Using Premium Service, two-year and four-year institutions can generate their own individual Transfer Tracking Reports. Log on to StudentTracker and select the “Premium Service” icon. 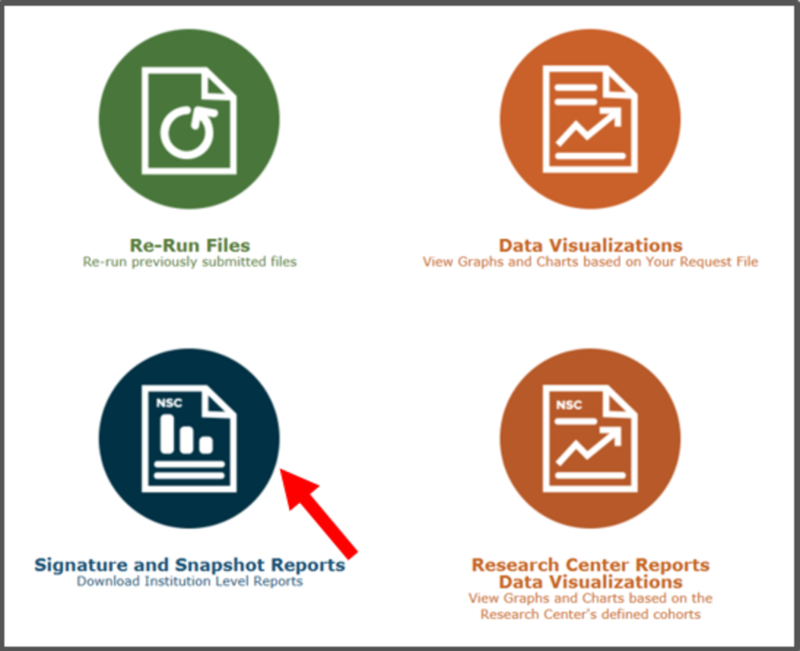 Select the “Signature and Snapshots Reports” icon. 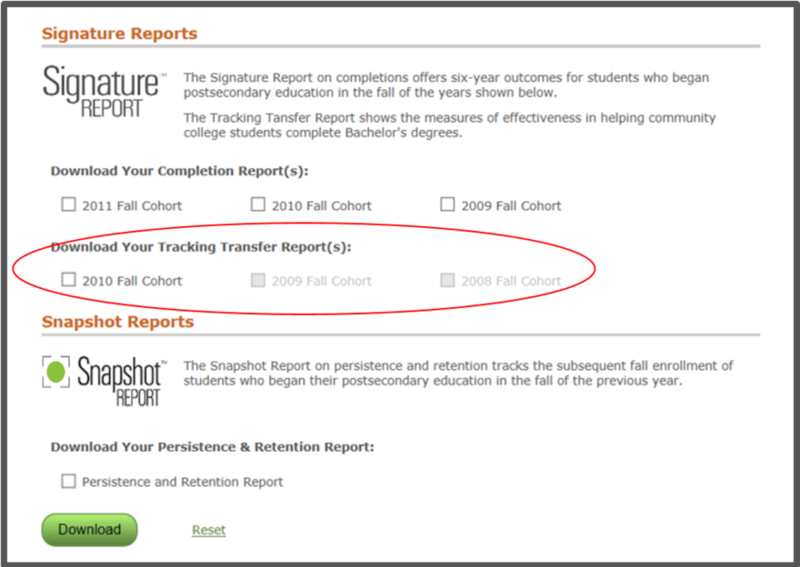 In the “Signature Reports” section, check the 2010 Fall Cohort box under “Download Your Tracking Transfer Report(s)” and then select the “Download” button. Your Transfer Tracking Report will open. 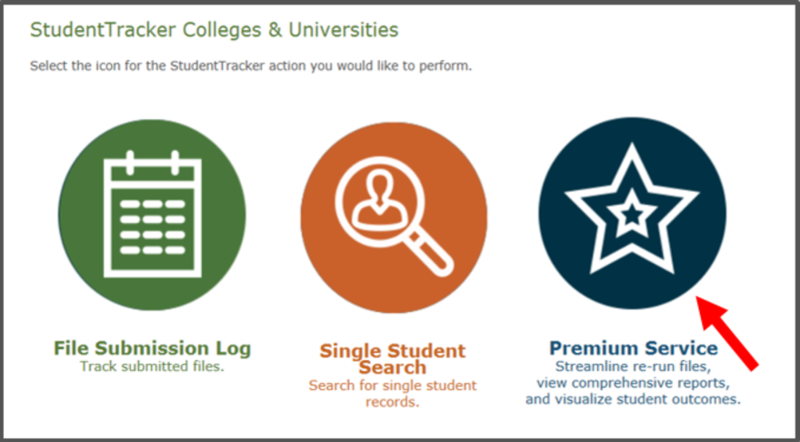 After you’ve had a chance to review your report, we welcome your feedback at StudentTrackerPremium@studentclearinghouse.org. We hope you find this report of value. Thank you for using Premium Service.